SmartDealerUniversity hosts an online Learning Management System (LMS) that is developed and managed by IAS. The site was designed to be a resource for all SmartDealerUniversity students – the new students who have never been in the IAS Training Center as well as for IAS training graduates who like access to materials after their in-person training has concluded. 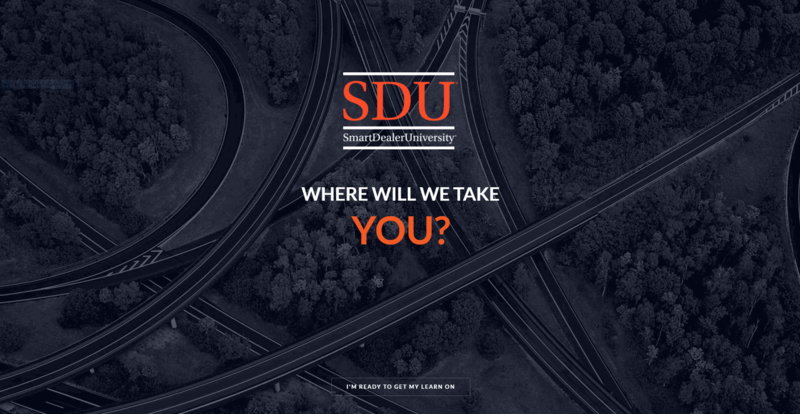 The SmartDealerUniversity training academy includes courses for F&I managers, Sales managers, Sales people, and BDC representatives. The SmartDealerUniversity website includes the same content, as well as additional training courses for F&I products and technology, making it a one stop resource for all things IAS. Content on the website is only available to users with a login, and logins are restricted to viewing only the content for which they are intended to see. Content on smartdealeruniversity.com is intended to be dynamic, and is comprised of text, images, and video to ensure that the learning experience remains interesting and engaging. Content is divided up in hierarchical fashion. Courses are the top level, with each course having one or more Sections. Each Section contains one or more Topics. Sections may or may not have Quizzes, which must be completed with a minimum score before advancing to the next Section. Courses also have a Final Exam, which must be completed before the Course is considered "completed" by the user. Users must visit each Section, and each Topic within each Section, in order. Users of smartdealeruniversity.com can access all content, including text, images, videos, and quizzes via any device which has a modern Internet browser, including desktop computers, tablets, and smartphones. The smartdealeruniversity.com site is available now to dealers across the United States. It is supported by a dedicated team of developers, technical support representatives, trainers, and sales representatives based in Austin, TX and Oklahoma City, OK.